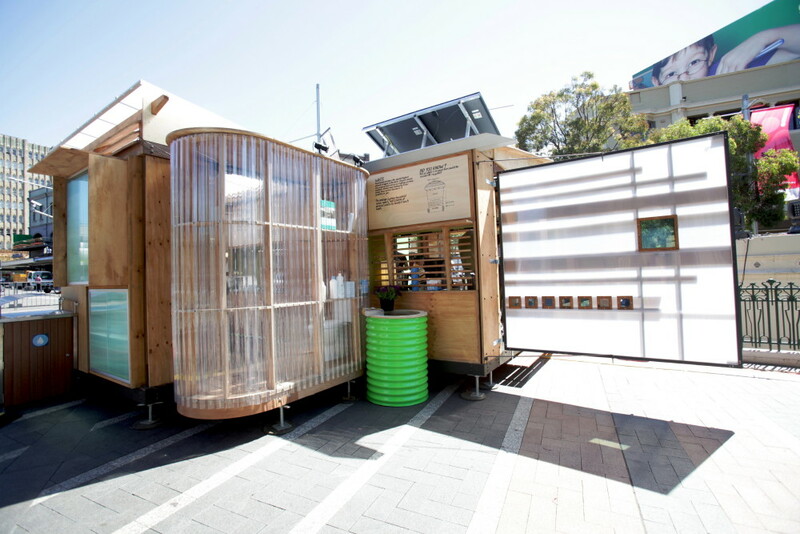 A temporary pavilion for showcasing green living, this plywood building was assembled at various festivals throughout the city. Plywood sheets are finished in plant based oils and bolted together to allow repeated disassembly and assembly. A venue for workshops and demonstrations about ecologically sustainable living. Using the principle of ‘long life loose fit’ in a constantly changing program of events across various locations.